Welcome to Mtwara Region Website. The land of green gold (cashew nut) and Natural Gas in Tanzania. Mtwara lies between longitudes 38o and 40o30" East of Greenwich and between latitudes 10o05" and 11o25" South of the Equator. The Region borders with Lindi Region to the North, the Indian Ocean to the East and separated by the Ruvuma River from Mozambique in the South. To the West it borders with Ruvuma Region. The Region occupies an Area of 16,720 Km2 say 1.9% of the total Tanzania Mainland area of 885,987 Km2. Temperature rises up to 35-370C in January – February and goes as down as 210C in June to July. The rainfall average is 830–1120 mm per annum where- as along the Coast there are two seasons from the mid-March to May. According to the 2012 national census, the Region had a population of 1,270,854; with 1.2% average annual population growth rate. The Region is densely populated with 76 people per km2. 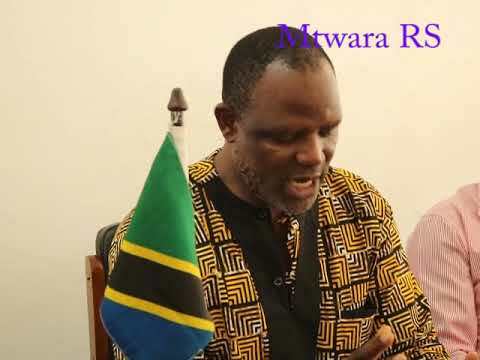 Mtwara headquarter can be reached by tripartite ways from the commercial city of Dar es Salaam. The fastest is by air followed by road. It is a 45 minute distance by flight and 6 hour drive covering 560 km. Mtwara is endowed with one of the best natural harbour in the world and the deepest port in the Eastern sea board of Africa. In enhancing Regional and National economy as a whole, Mtwara welcomes Tanzanians and international community in uncovering the unutilized multiple opportunities of fertile agricultural land, fishing, transportation, white sand beaches for recreation, hotels tourism, to mention just a few. The Region has created attractive business environment including infrastructural development in terms of electricity, water services, port, railway line and telephone communication networks. These are also supplemented by remarkable social services inter alia education institutions including vocational training centres, health services and others. Join us in developing the Region with diversified economy!